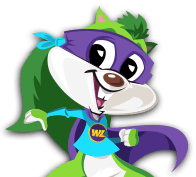 Hi Woodlands Buddies, I’m Seawood the Sea Dragon from the Empire (it’s the big blue building at Woodlands Family Theme Park) and I would like to welcome you all to my Woodlands Blog. You won’t meet another Sea Dragon quite like me in the whole world. I flew over from America where I was created with a top secret designer. Everyone tries to guess my height not found anyone quite tall enough to measure me just yet but I’m over 8ft tall so I get a brilliant view of the Theme Park. I may be being slightly vain but I do love my purple wings which mean I get to fly around Woodlands really quickly and get to find out what’s going on and all the latest news at Woodland Park before anyone else. Watch this space and I’ll fill you in with all the latest goings on at Woodlands Family Theme Park and what I get up to in and around Devon. You won’t believe how much fun you can have at Woodlands it’s a realy great day out for all the family.